Details Sartorius red earth is a natural mineral containing clay tinted by iron oxide that gives an exceptionally warm orange-red hue. 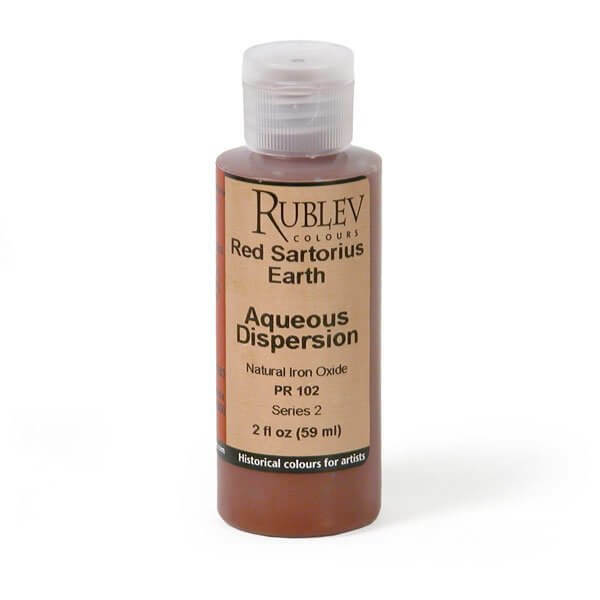 Our Sartorius red earth is from mineral deposits in the Tuscany region of Italy. Sartorius red earth is a red earth from Italy based on the mineral hematite. The word hematite comes from the Greek word hema, meaning blood and was given the name "bloodstone" in ancient Greece (Theofrastus, c. 325 B.C. ), implying that the mineral is blood red in color. Hematite is an important ore of iron and its blood red color in the powdered form lends itself well as a pigment. Red earths, including the mineral hematite, are among the oldest pigments known to humankind and has been used by every major civilization and epoch. 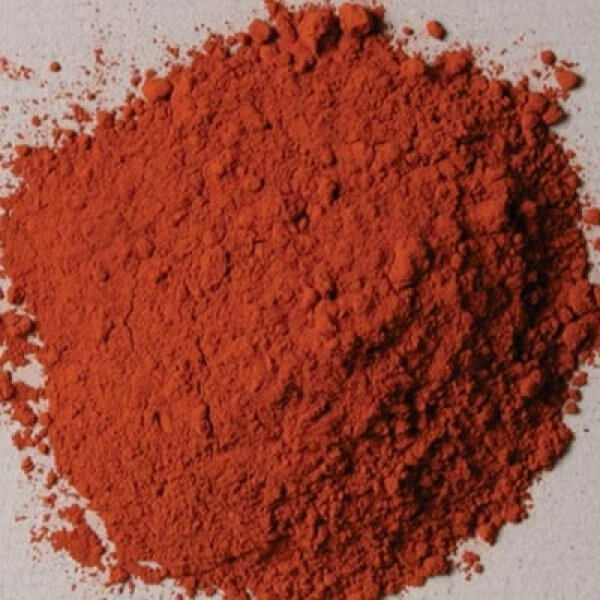 Red ochres are natural earths containing clay tinted by iron oxide and is composed of hematite, and traces of gypsum (calcium sulfate) or calcite (calcium carbonate). Hematite is a mineral composed of iron oxide minerals (á-Fe2O3) that occur as natural earth. Depending upon the content of iron oxide and other minerals, the color of red ochre varies from deep red to brownish red. Red iron oxide minerals, such as hematite, are found around the world and have been used as pigments since prehistory. Red ochres are among the most permanent colors among the artist's palette. It is compatible with all other pigments, and can be used with good results in all mediums. Red ochres absorb a medium amount of oil, which may slow the drying of oil paint, but because iron oxide is a drier in oil, it dries fast and forms an excellent film. Red ochres are not considered toxic, but care should be used in handling the dry powder pigment to avoid inhaling the dust.